Recycling creates jobs, creates material for use in products, reduces climate change, and conserves resources, energy, and landfill space. Many home and business owners do their part to recycle, and that is very appreciated, however, there is always more to do. The aim is to reduce, reuse and recycle. If you have items that need to be recycled, go to the recycling center near Joliet, Illinois. Go to Belson Steel Center Scrap, Inc. on Route 50. As a consumer, reduce what you can’t recycle. For example, not all paper products are recyclable, even though you would think that they are. Some paper products are coated with unrecyclable laminates, mainly wrapping paper. Therefore next time you purchase wrapping paper make sure it is recyclable or create your own using brown grocery bags. 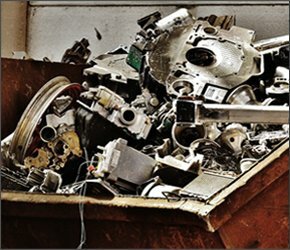 Metals are the most common item that is recyclable. Such metals like aluminum cans and clean aluminum foil are probably in your recycling bin right now. 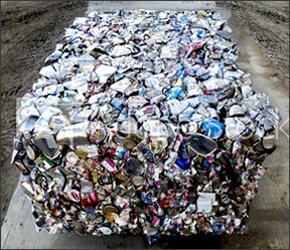 Other metals that are recyclable are iron, steel, and tin. Think car parts, appliances, old cookware, metal furniture, and bed frames. Once you begin collecting larger metal objects for recycling before you bring it to the recycling center near Joliet be sure to separate it. You can separate smaller items in bins that are labeled by metal, like, copper, aluminum, iron, stainless steel, etc. Then just put the containers in your vehicle and go to the recycling center near Joliet to cash in and put some money in your wallet. Or you can separate it by ferrous and non-ferrous metals. It’s simple to determine what type of metal you have by placing a magnet on it. 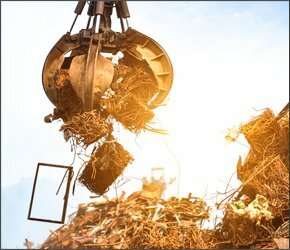 If it sticks, you have a pile of scrap that contains iron and steel in the metal, and it is considered a ferrous metal. If the magnet does not stick, then you have a pile of metal that contains brass, aluminum, copper or gold, and it is considered non-ferrous metal. Be sure to note that non-ferrous metal always pays more at the recycling center near Joliet. 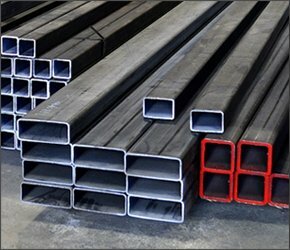 If you reside or do business in Joliet and are looking for a recycling center that meets your more substantial scrap needs, go to Belson Steel Center Scrap, Inc. on Route 50. They have been in business for over half a century and accept many types of metals and electronics. If you have any questions about what Belson Steel Center Scrap, Inc. will take, call the office at 815-932-7416 direct and our staff can answer all your recyclable questions. Feel free to fill out the information on the contact form on our website. We will respond to your inquiry quickly.